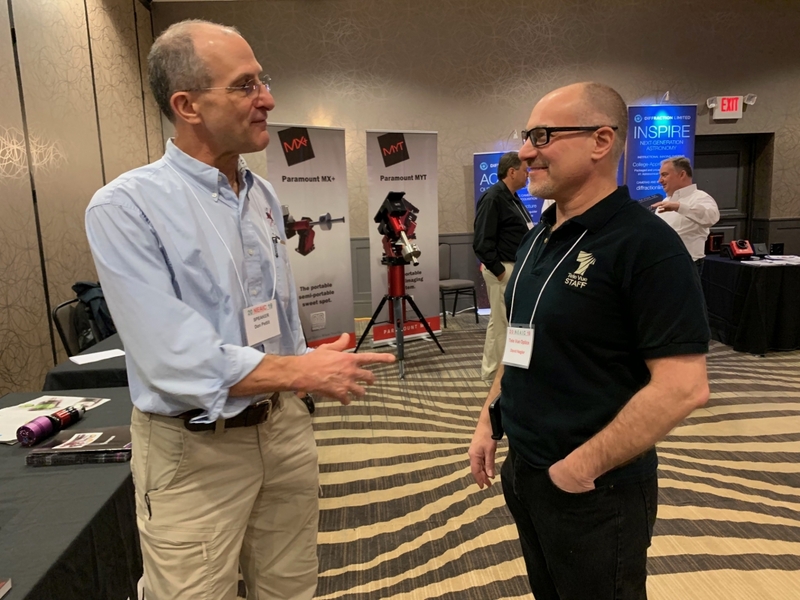 Devoted to all aspects of astronomical imaging, this two-day event is a serious imaging conference for those that want to improve their skills. Typically there are around 200 attendees. 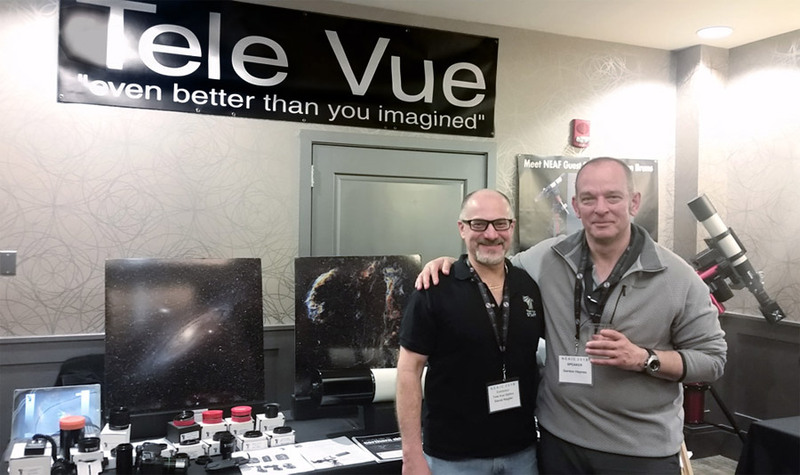 If you’re attending NEAIC stop by the Tele Vue booth between sessions to see our imaging gear. Equipment on display includes the Tele Vue-NP127fli, Tele Vue-NP127is, and Tele Vue-NP101is, BIG and 2″ Paracorr Type-2s, FoneMate smartphone adapter, and a host of reducer/correctors and Imaging System accessories. 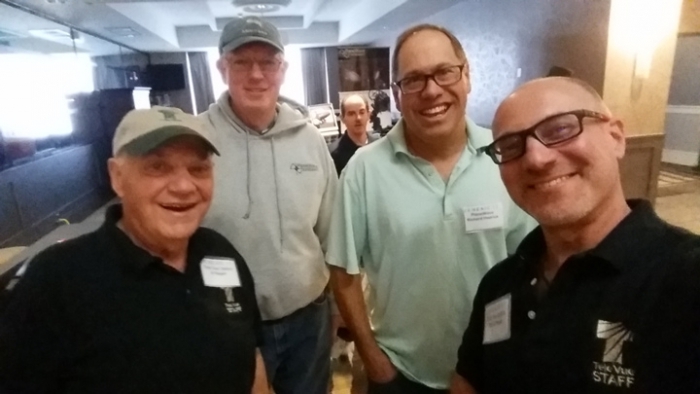 At NEAIC, Al and David Nagler (front) of Tele Vue meet with PlaneWave Instrument founders Joseph Haberman (back left) and Richard Hedrick (back right). The NEAIC speaker lineup has always included leaders and acknowledged experts in such fields as extra-solar planets, variable star, minor planets, asteroids, comets, and supernova research. This year it again includes some imagers that have been featured on our website and Instagram pages. Adam Block is credited with several NASA Astronomy Picture of the Day (NASA APOD) and Space.com Image of the Day images created with our Tele Vue NP127is imaging system telescope. See our Tele Vue Image of the Day page to find these images and also checkout the M42 (Orion Nebula) image he sent us. Robert Reeves wrote an Amateur Astronomy Profile of Al Nagler for Amateur Astronomy Magazine and was an early reviewer of the Tele Vue-TV60is telescope. He loved the wide-field imager so much, he bought the scope and still has it! Gordon Haynes was one of inaugural users of the Tele Vue-NP127fli astrograph and has produced numerous images with that scope that you can see on our NP127fli Image Gallery. David Nagler At NEAIC with speaker Gordon Haynes. The day following NEAIC kicks off the 2-day Northeast Astronomy Forum (NEAF) — just a few miles down the road. (In fact, admission to NEAF is included when you attend NEAIC.) With two shows to do and so many friends coming into town, this is one busy week for us at Tele Vue! 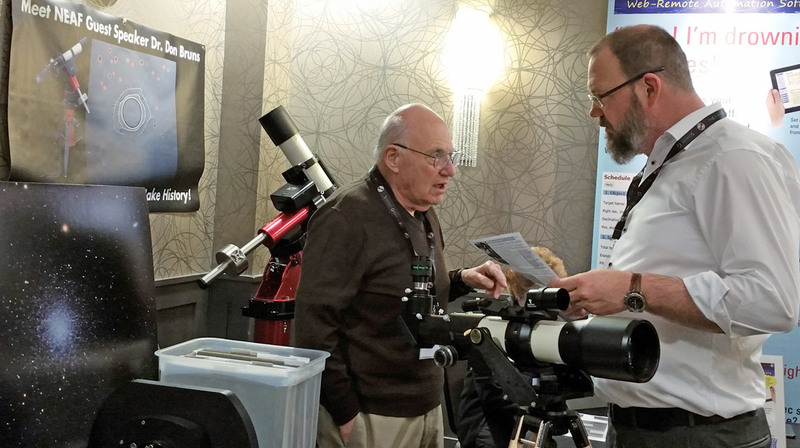 The NEAIC show, at the Crowne Plaza Conference Center in Suffern, NY is a an astro-imaging conference for those that want to get serious about their imaging. The NEAF show, at Rockland Community College in Suffern, NY, is fun for the whole family. 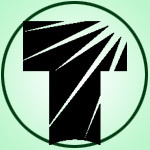 It features exciting talks and a huge exhibit hall. 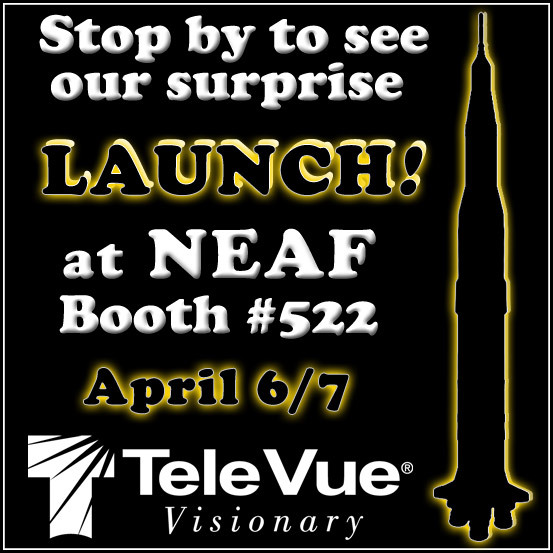 Previous Previous post: NEAF: Tele Vue’s Cosmetic Sale is Back! Next Next post: Tele Vue’s Secret Launch: Apollo 11mm Eyepiece!